He has been privileged to stand for the Christian faith in numerous dramatic and challenging cases, in numbers of countries, and his careful biblical study of over half a century is at your service in the work of the Christian ministry. On this, as a witness concerning the more dramatic side of things in the testimony of truth, one could turn to Biblical Blessings Ch. 11, and Ancient Words, Modern Deeds Ch. 10, for example. The Lord's deliverance for faithfulness to Him and His word should spur many to be fearless for the truth, which is of infinite value, since Jesus Christ, IS the truth (John 14:6). On this site for His glory and service, appear 240 volumes, some compilations and extensions on special subjects, comprising some 25 million words and over 60,000 pages of Christian Apologetics, closely allied Gospel presentation, with movements into many fields, such as Bible translations, necessary and extensive Bible study, prophecy, creation, logic, philosophy, chemistry, history, politics, international affairs, biblical exposition and gospel presentation. Excluding the Th.D. thesis of some 150,000 words, there are now the 240 volumes, published on the Web from 1996-2016.
a demonstration that the Bible is the word of God. extend the testimony of Jesus Christ. The purpose of these and the source of inspiration and continual help is shown here. This is the most up-to-date summary. various acknowledgements have been made, some included here. From the International Biographical Centre, Cambridge, advice has been received providing or offering inclusion in the following list of actual or prospective publications. This concerns the work of Rev. 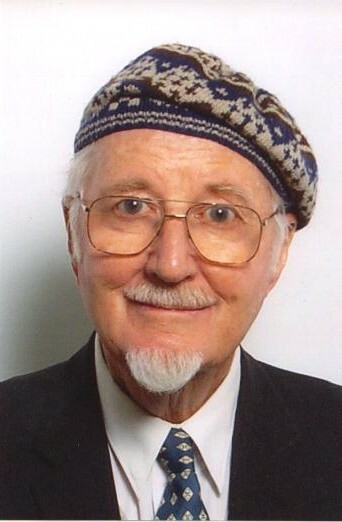 Dr. Robert E. Donaldson, whose 240 published works have been featured and distributed largely by this site, during the last twenty years. Below, then, are some awards and citations. Some may have their own, very different evaluation of this site. It does not matter. The important thing is that people made by God are remade by God, restored in image to fellowship with their Creator through Jesus Christ, and find from Him the way of eternal life, deliverance from damnation and delight in the presence of the true, triune God and only Saviour whose exaltation is just and whose majesty endures for ever. As to this work on the web, let God be the Judge of it, but let us work. It has been great to follow the example of Paul and have the opportunity to be "casting down imaginations and every high thing that exalts itself against the knowledge of God, bringing every thought into the obedience of Christ" (II Cor. 10:5. 11:1), and being ready to meet what may come. Only will, never meat or substance, is back of rebellion against Him, and pitiful is the result of so much witless propaganda, shorn of substance and exposing many to the winds (Ephesians 4:14). Love does not eschew battles, but acts if there is cause for it. This labour has filled the place of a new method of Biblical Christian Apologetics, and to God be praise, for it rests on no presuppositions, and gives not only proof of Him and His word, the Bible, and living Word, Jesus Christ, but shows its obviousness; for man fights against Him, but prevails in only one thing. This ? it his own destruction from which we fervently through this biblical faith and this only Redeemer, seek deliverance for many and opportunity for all. We trust He will use what He has in many ways, enabled to produce. 5) One Thousand Great Scholars. International Directory of Experts and Expertise (2008). of nomination for Great Minds of the 21st Century. These last US selections are appreciated as they may help more Americans in particular, in addition to the many students who already use our site, to visit and to find here the certainty of the word of God, to be enriched by its beauty, dynamised by its wonder, regaled by its reasonableness and inspired by the fact that it is nothing less than the word of the living God to fallen man, to any man, woman, youth or child, to one, to all. It is inscribed in the Bible, proclaimed by the prophets, incarnate in Jesus Christ, the Saviour. In such ways are we proclaiming the Gospel, the multi-targeting divine missile of love that is sent to bring salvation and not destruction (John 3:17), peace and not pollution, that blessed eternity of divine company and not the dreadful decree nisi of divorce. have been intense, intimate and utterly faithful in all these works. and no adequate way to say it! one God in Being, three in infinitely intimate Persons. and gain "everlasting joy on their heads"
as members of the kingdom of heaven.